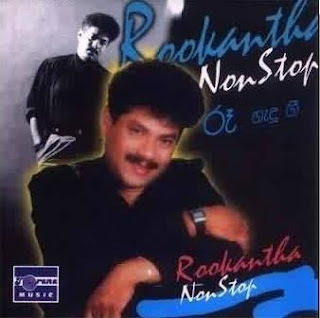 Torana presented "Roo Hadu Gee" the nonstop Sinhala cd, I've converted in to VCD format for your pleasure and to keep this wonderful CD alive forever on Youtube and to show the world who is Rookantha. 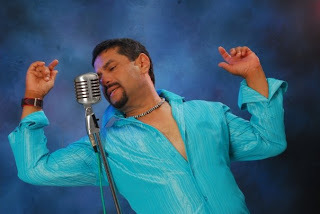 Rookantha has sung these songs of the CD that only his creations for other singers and his own.that means all the songs in the CD are written and made music by Rookantha Gunathilaka, himself. 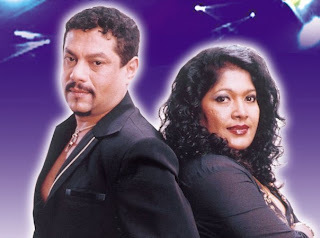 Chandralekha Perera, his lovable wife sings with him in the CD. here , Rookantha Chandralekha and their lovable two daughters. I'm very thankful for the photos and I also kept their right for the ownership of the photos.I tried my best to keep the originality and to keep Rookantha's big image , that you are the decider of my afford.අද මම ඔයාලට දෙන්න යන්නෙ ටිකක් වෙනස් දෙයක්. මෙච්චර කල් ඔයලා අහපු CD එක VCD එකක් කරලයි දෙන්න යන්නෙ.ටොරානා ඉදිරිපත් කල "රූ හැදූ ගී" ,නොනවතින ගී වැල' කැසට්පටය සම්පූර්ණයෙන්ම අද මම ඉදිරිපත් කරනවා. සුළු කාලයක් ගතවන සිංදුවකට වඩා මේ වගේ සම්පූර්ණ කැසට් එකක්ම දෙන්න ටිකක් අමාරු වැඩක්.මම හිතනව ඔබ ගොඩක් මේ කැසට් එක රස වින්දීවි කියලා.ඉතින් මේක පැයක VCD එකක් නිසා Youtube වලට කොටස් 7 ක් විදියට තමයි අප්ලෝඩ් කරල තියෙන්නෙ. There are 7 parts of the VCD because this is an hour long one.All the parts are included here.